Tauseef Akhtar was introduced to Gwyneth Glyn through their mutual mastering friend Donal Wheelan of Hafod Mastering. With support from Wales Arts International the two artists came together to explore their musical affinity. Over six days in the Roundhouse, St Hilary, Ghazalaw was born. 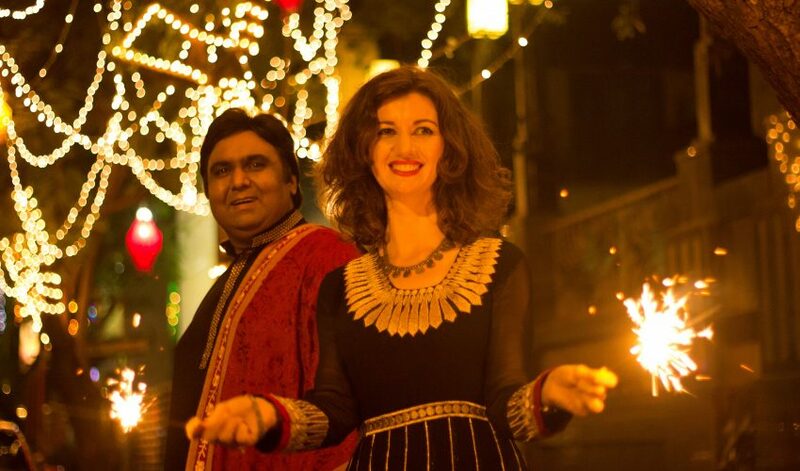 In November 2012 Gwyneth invited Welsh harpist Georgia Ruth to join her and Tauseef in Mumbai to develop the songs further with musicians Ashish Jha, Manas Kumar and Sanjoy Das. 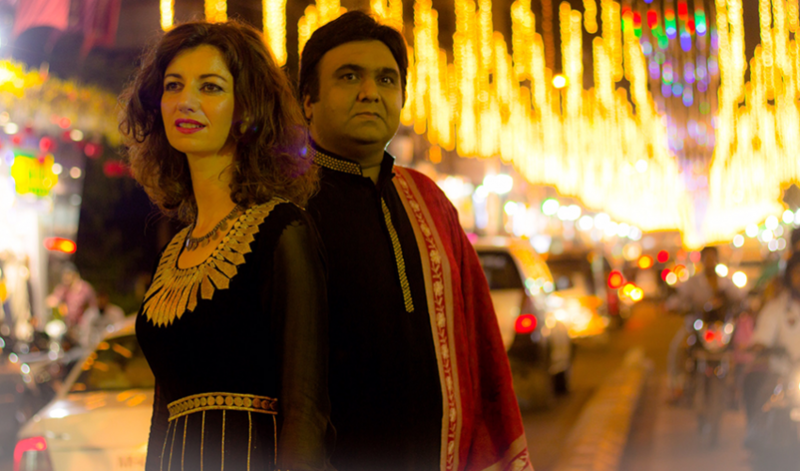 Ghazalaw performed in Mumbai, at the Desert Festival, Delhi and featured at the Indiearth Exchange in Chennai. 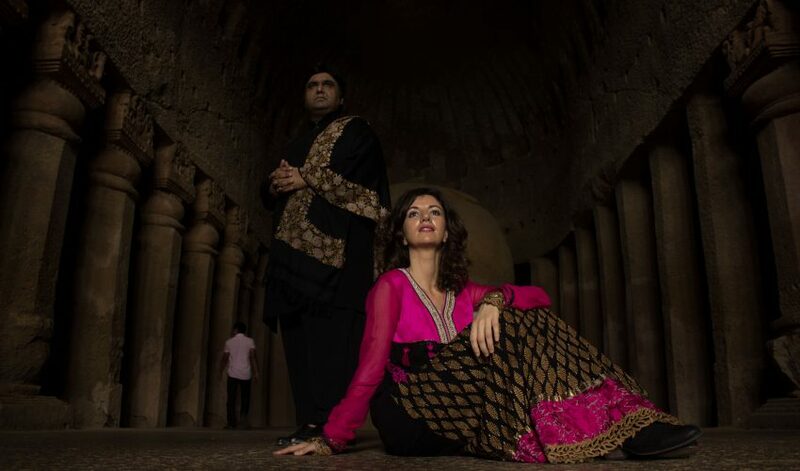 Ghazalaw were selected to showcase at WOMEX13 in Cardiff, and took part in the WOMEX13 Opening Concert curated by Cerys Matthews, before taking part in the Horizons tour, playing four major venues in Wales over four nights. In January 2015 they were invited to play the Kolkata Book Fair, and the Ghazal Bahaar in Mumbai. With support from the Arts Council of Wales and generous sponsorship from Air India, the musicians returned to the Round House to record their eponymously-titled debut album ‘Ghazalaw’, which released on 25th September 2015 on Cerys Matthews label ‘Marvels Of The Universe’, in co-production with Theatr Mwldan. The release was followed by a UK tour in November 2015. 2016 sees Ghazalaw play festival dates in June and July, including the Hay Festival, Beyond The Border and Sesiwn Fawr Dolgellau. This time Gwyneth and Tauseef are joined by Manjeet Singh Rasiya (tabla), Patrick Rimes (violin), Suntou Susso (kora) and Dylan Fowler (guitar). Ghazalaw is available in digital and physical formats via amazon.co.uk, or via our shop page.